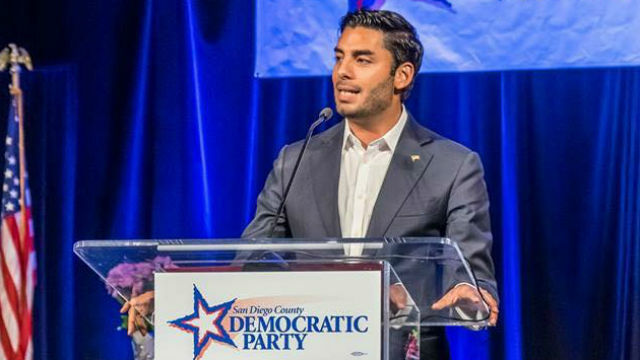 Democratic Congressional candidate Ammar Campa-Najjar reported Monday his campaign has outraised incumbent Rep. Duncan Hunter in the race for the 50th Congressional District in East County. The campaign said it raised over $205,000 in the first quarter, and now has the most cash on hand of any of the candidates, including Democrart Josh Butner. “Thank you, to all the hard-working grassroots activists who have built a campaign that is built to last,” Campa-Najjar said in an email to supporters. Hunter and his father before him have represented the largely rural district since 1981. Campa-Najjar, a former Obama administration official, has been endorsed by the California Democratic Party and the San Diego Labor Council, but Butner, a retired Navy SEAL and school trustee, is backed by Rep. Scott Peters and a number of military leaders.